The second laptop in my house has the same problem. I'll be typing an article, and all of a sudden, the cursor will jump and insert the second half of the sentence elsewhere. The simple solution is to disable the built in mouse through the control panel. As I type this article, I am using a mouse which is plugged in through the USB port, just like when I used a tower. This brings me to the subject of laptops. Why can't a laptop be more like a tower? I replaced monitors, keyboards and mice with no problem before I had a laptop. The way laptops are today, if a screen goes, then you are looking at major repair expenses. I don't even want to think about keyboard problems. But there ought to be a way to remove a broken touch pad mouse and replace it with a new one. It should be possible to do the same with a keyboard or a screen. 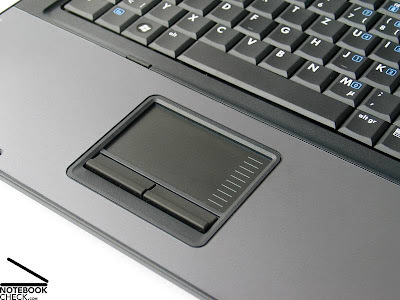 If anyone ever manufactures such an item that is user friendly, they could pull in frugal consumers who go out of their way to avoid replacing their computers. People who won't like shelling out seven hundred dollars for a laptop will mind less if they can restore it to new condition for a hundred dollars or less. My technician shares tips for keeping my computer running. Instead of going to him every 3 months, I go to him once a year or less. Out of gratitude I go to him for hardware and software that I need. Since I started going to him he has moved from the back of a barber shop to his own store with a couple of assistants, so I guess it's working out for him as well. I am glad that there are people who crave the latest technology. They iron out the bugs and try the expensive new gadgets until they become cheap old gadgets. Cell phones the size of briefcases were once the toys of the super rich. Now my fold up pocket cell phone marks me as out of fashion. Part of stimulating the economy is producing goods aimed at all classes of society. We need more clothing and electronics aimed at the working class and the middle class. When I look at my computer with the disabled touch pad, I see a lot of possibilities in the home computer market. I hope someone out there is listening.